At Cleaning Master we can offer you a wide range of carpet repairs, where you may have had an accident on your carpet by either a lighted cigarette falling onto the carpet, coal / wood cider spitting out of an open fire causing a burn. 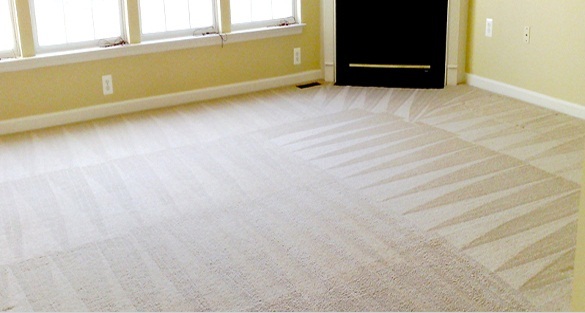 The damage may have even come from a heavy or sharp object being dropped which then created a hole in the carpet. These imperfections can be repaired by either patching or reweaving (re tufting). Patches can be taken from either spare carpets or from a carpet that has been placed under heavy furniture (that is never moved). The main problem with this method is that you may encounter some colour match issues as the carpet underneath the furniture will not have experienced as much light and so will be a shade or two darker. Need A Quick Repair Or Even A Full Refurbishment? Then Get In Contact Today And We Guarantee A High Quality Service! The process of ‘Retufting’ can be quite successful if the hole/burn is not too big, any larger than thumb nail size will be visible, if smaller then with matching yarn it can be invisible. Where possible we will try and contact the manufacturer for the matching yarn, or yarn can be taken from around the edges. 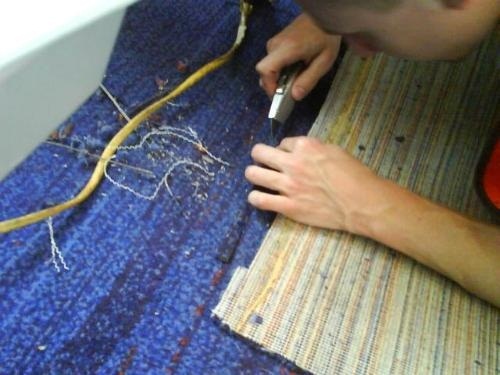 We can also re-stretch carpets and have the seams repaired, which may have come apart. We also have the facilities to refit carpets should they have been taken up, and supply and fit a new underlay.